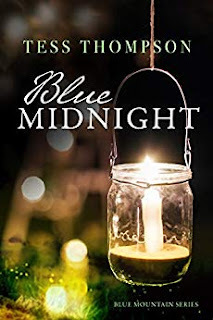 Blythe Heywood denied her destiny when she left Finn Lanigan behind thirteen years ago to return to her fiancé, a wedding, and the life of safety and security that she'd yearned for since she was a child. But in the wake of her husband's betrayal, Blythe is forced to begin again. And it's her memories of Finn, the only man who ever weakened her knees, that call her across the Pacific Northwest in search of the next chapter in her life. 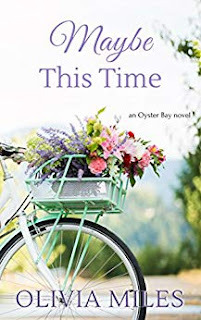 Starting over in the foothills of Blue Mountain changes everything Blythe thought she knew as she learns that sometimes the road not taken is actually the path that is meant to be. Abby Harper’s life has finally gotten on track—almost. Sure, she’s still single, and yeah, it’s a little depressing to be planning the menu for her grandmother’s wedding, but romance is hardly her first priority right now. Heading up the restaurant of the Harper family’s inn is the job of her dreams, not to mention her chance to finally show her two older sisters that she’s not a kid anymore. But when a bad review of her signature brunch puts her face to face with the only man who ever touched—and broke—her heart, Abby is determined to redeem her reputation. It won’t be easy to win a good review of the inn while sidestepping the one man she’d like forget. But while she tries to win Zach Dillon’s favor, will he manage to win her heart…for good?